Set of 10 steel goal net pegs. 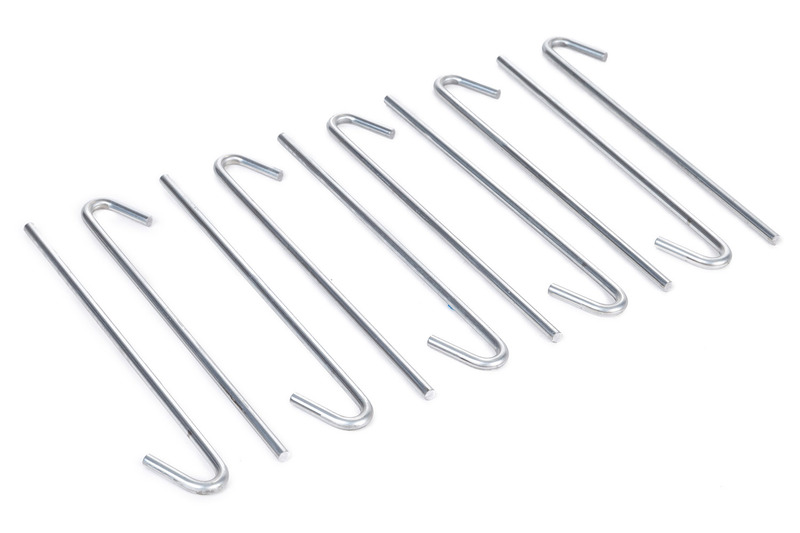 Wire push-in peg style for securing goal nets to the ground. Thin and strong, ideal for harder surfaces to secure nets.